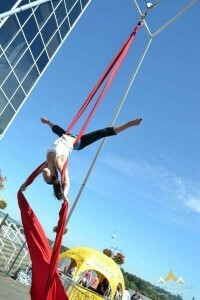 Professionally trained dancer and aerialist. I have trained in everything from Ballet, Jazz, Contemporary, Tap, Salsa, Samba and more. I have trained and preformed locally in Vancouver for more than 10 years, I have also lived and trained in NYC. I am a highly versatile dancer. Breanna born and raised in Vancouver, has been dancing for over 10 years. With a diverse background ranging from ballet to salsa, she has had the opportunity to perform across the lower mainland in various theatres, private functions, music videos and more! Some of her credits include: Much Music’s Mariana’s Trench “Celebrity Status,” Sony’s Ash Koley “Brighter at Night.” As well as ABC’s TV “Good Morning America.” She has worked alongside the “Underground Circus,” for “G.S.G productions,” “LUSH Cosmetics,” “Destineak,” “Goldenlight Entertainment” and mo ... st recently as a dancer with “Samba Fusion.” Breanna is currently working on “Reinvention of Disco” which will premiere at the Edgewater Casino, Vancouver in May of 2016. As a graduate of the “Scholarship Program” in 2011, Breanna decided to head east to further her dance training. She completed the intense and strenuous ISVP program at Broadway Dance Centre in New York City as well as extensively trained at PeriDance. Upon returning home this avid traveller decided she would embark to Cuba, a country so rich in culture and dance. She returned from the “Escuela Nacional de Arte” in 2013 where she had the chance to work with and learn from some incredible talent. 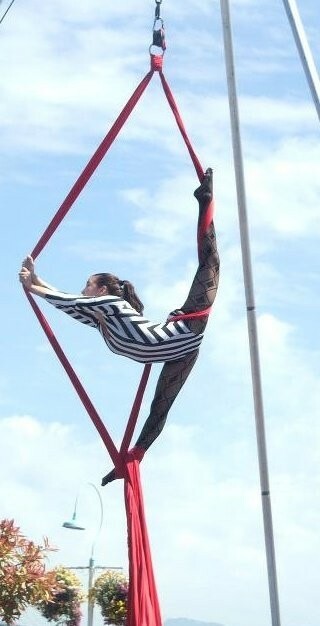 It wasn’t until later, Breanna found her love of circus arts. With a wide range of training from Trapeze to Trampoline, Breanna loves to bring to life aerial silks. 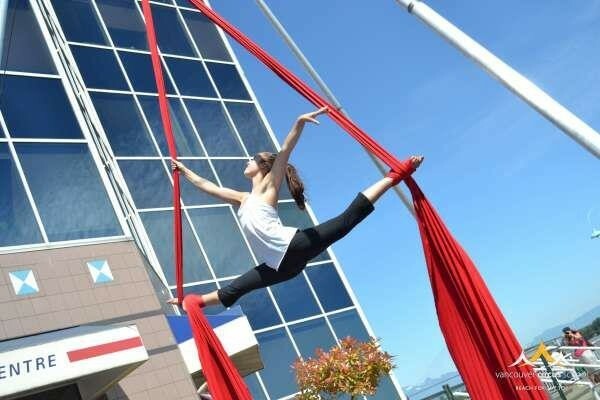 She has trained in professional development programs in both New York and Vancouver and hopes to continue to perform and develop aerial silks. In addition to circus and dance Breanna also enjoys teaching and sharing her passion. She has worked with and taught children and adults of varying abilities. As a dancer, teacher, aerialist and avid traveller, Breanna hopes to continually learn, grow, share and inspire others.